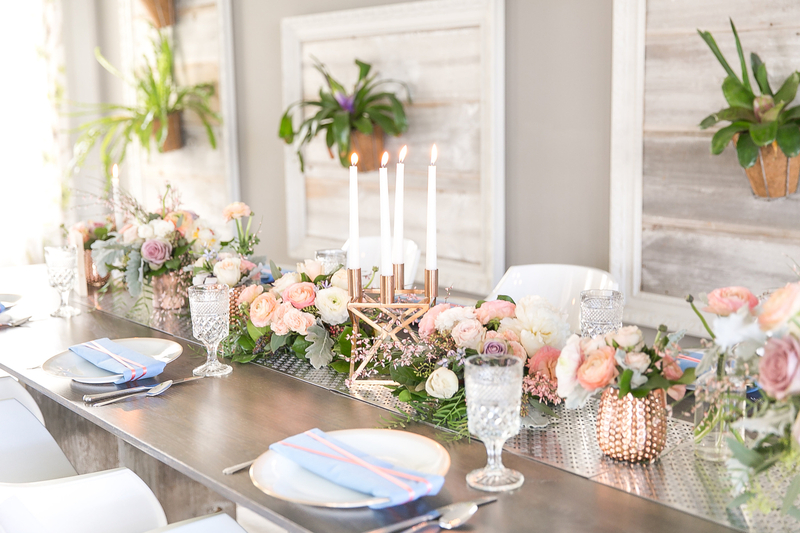 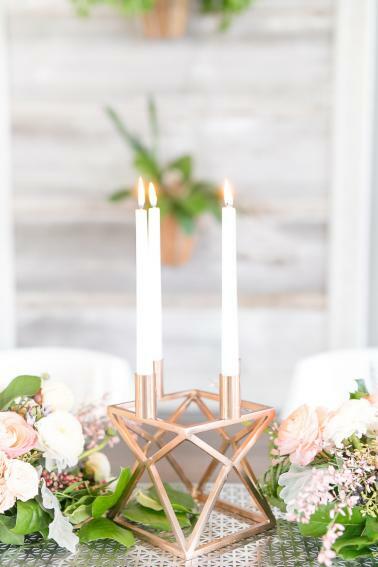 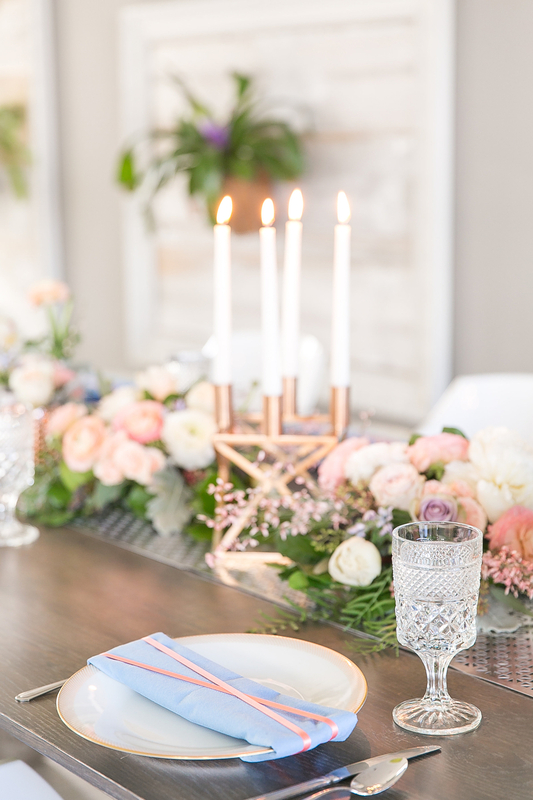 There’s nothing I love more than being inspired by something, and that’s exactly how this gorgeous blush, blue, and rose gold wedding inspiration came about. 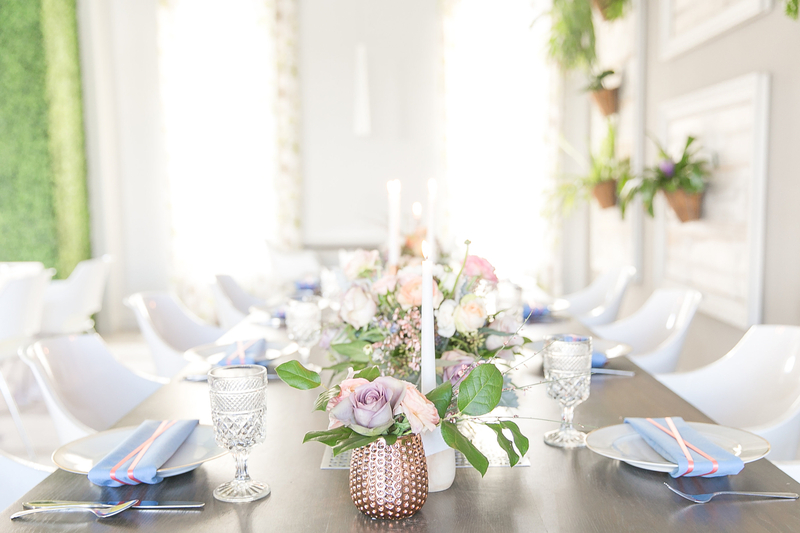 A few months ago, I was organizing a networking event for Aisle Society, and found the most amazing space at Orlando’s Castle Hotel to host it in. 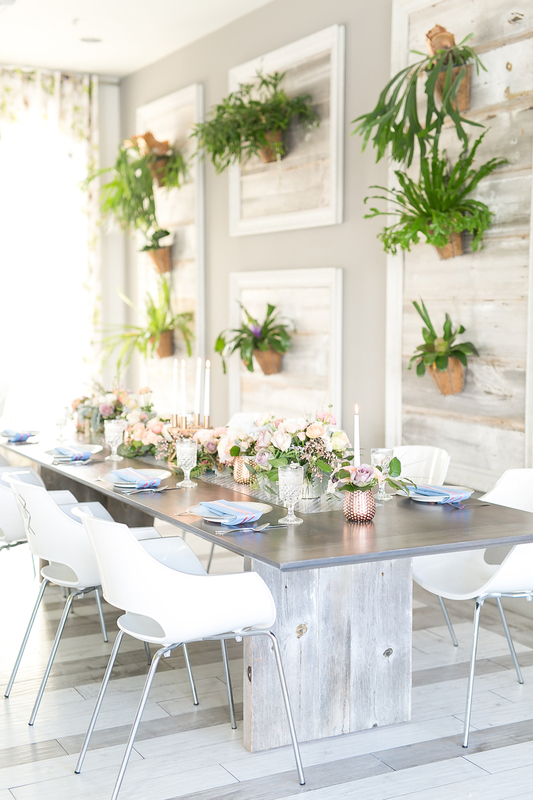 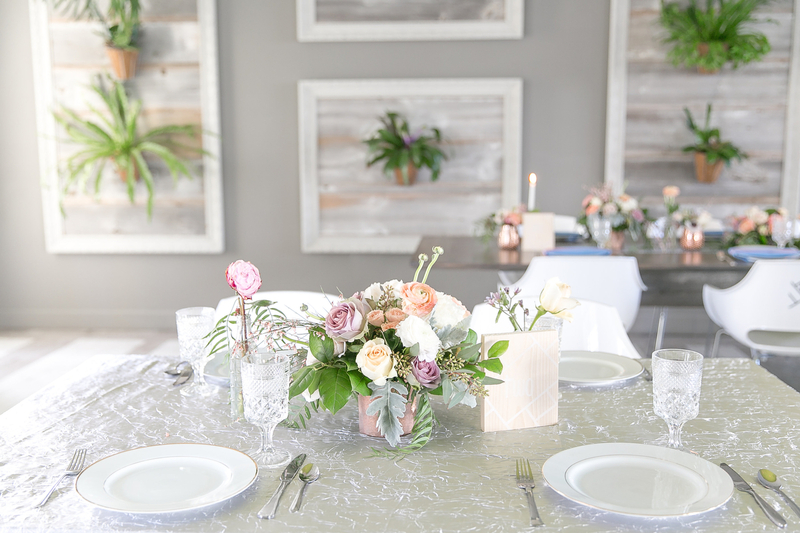 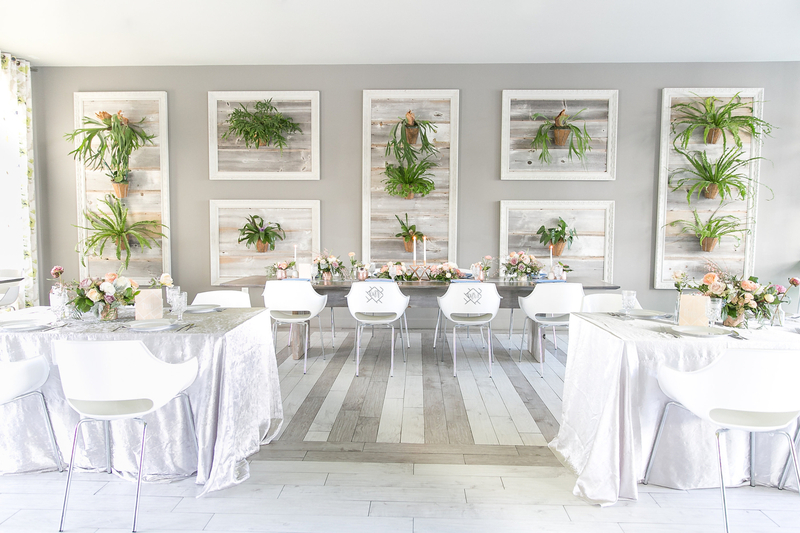 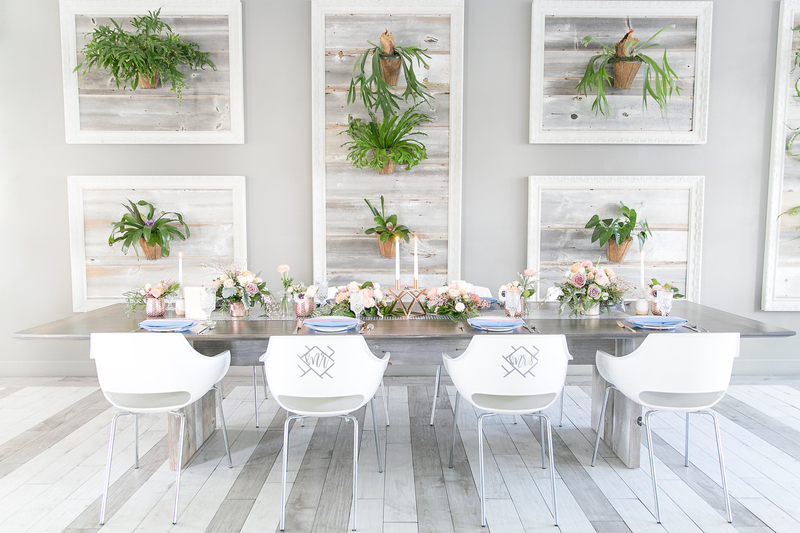 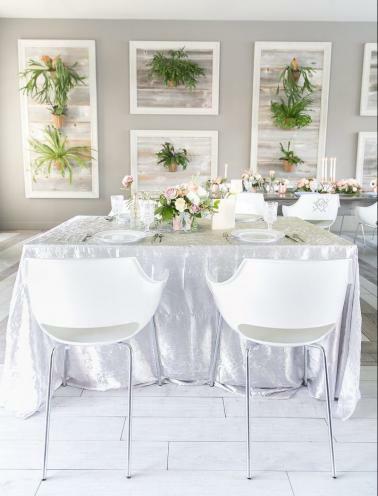 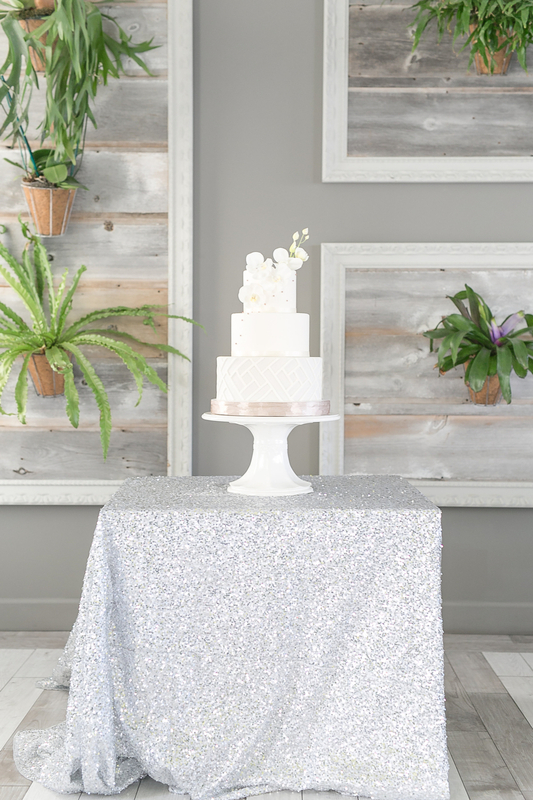 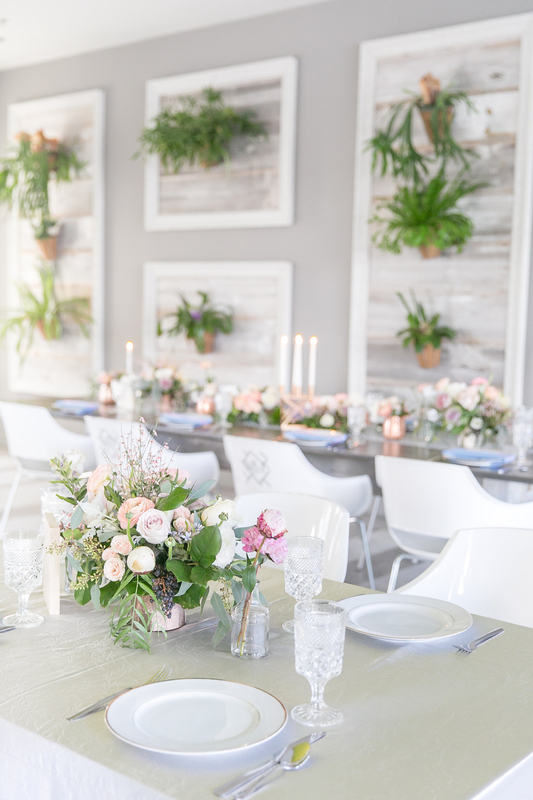 Boasting white marble, white washed wood, and a wall of lush plants, I was inspired beyond measure, and I knew that I had to design a little inspiration shoot in conjunction with the event that was taking place. 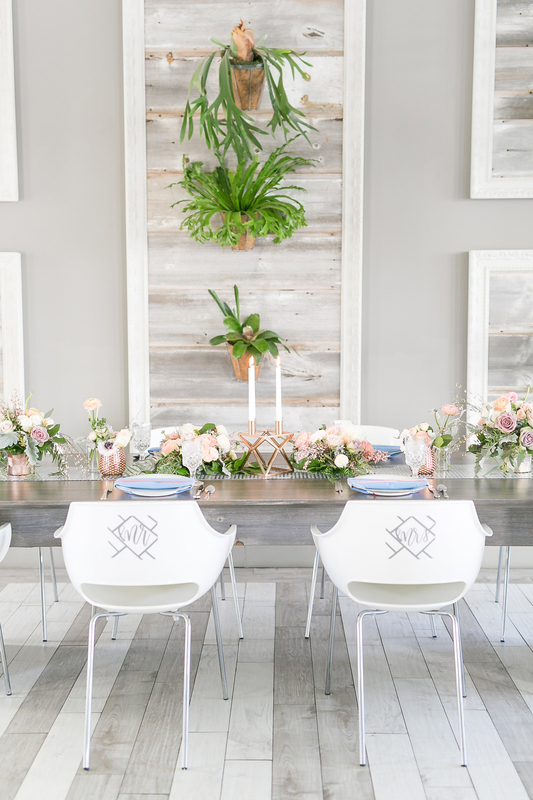 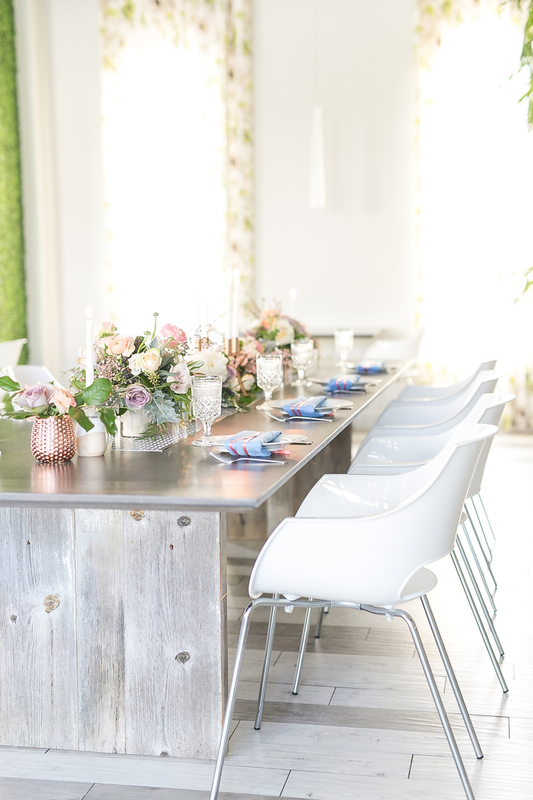 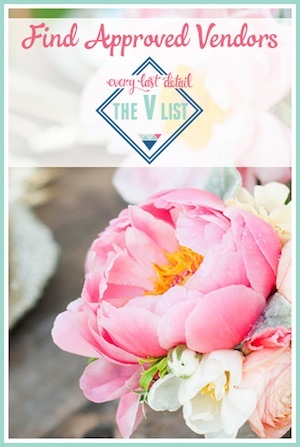 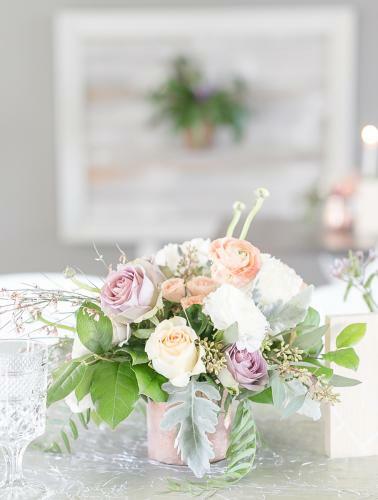 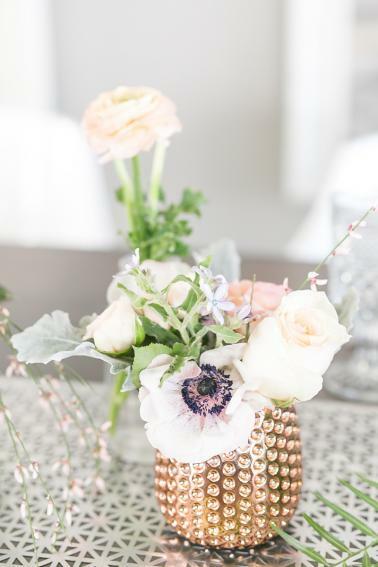 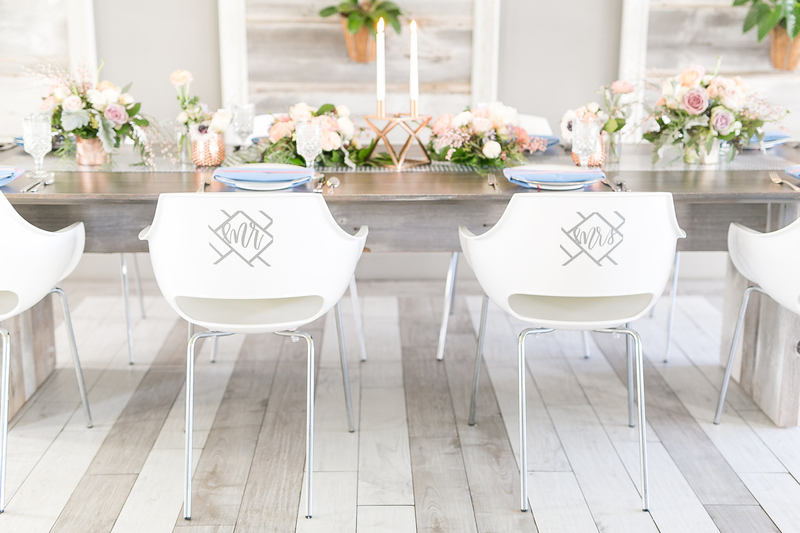 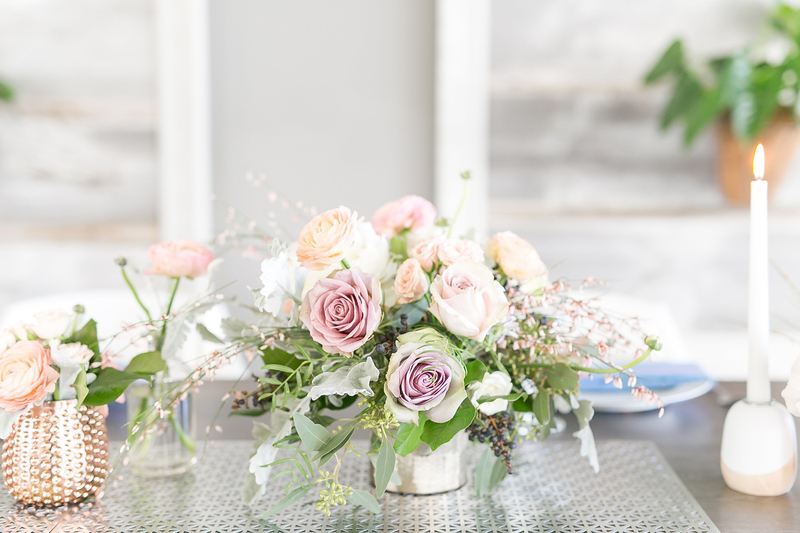 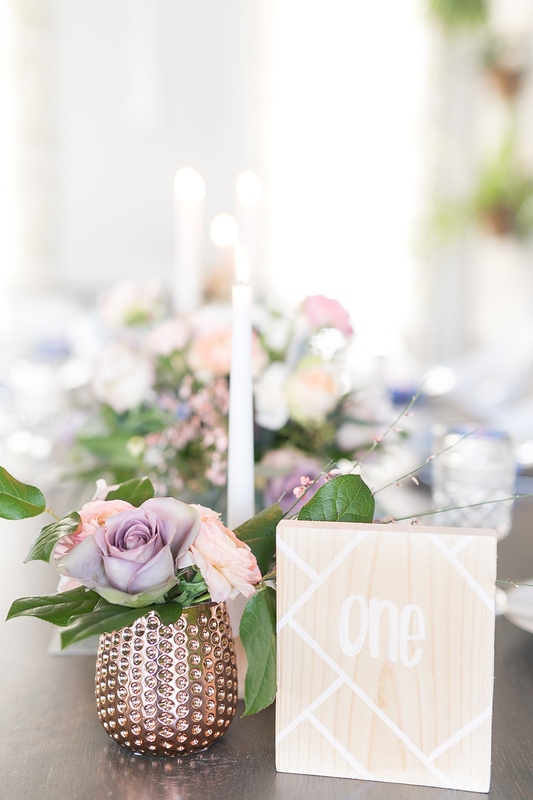 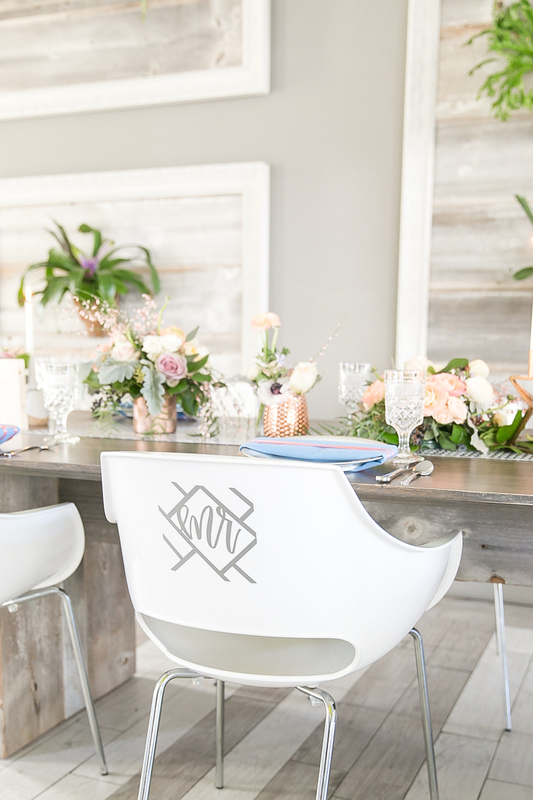 It of course became a V List Member affair, with Emily Grace Design assisting in the design, Ashton Events creating beautiful florals, Kate Ryan Linens providing her gorgeous lines, and Amalie Orrange Photography capturing it all. 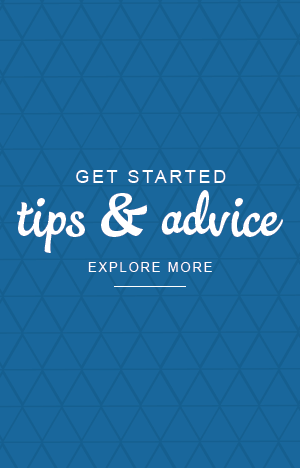 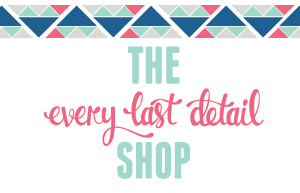 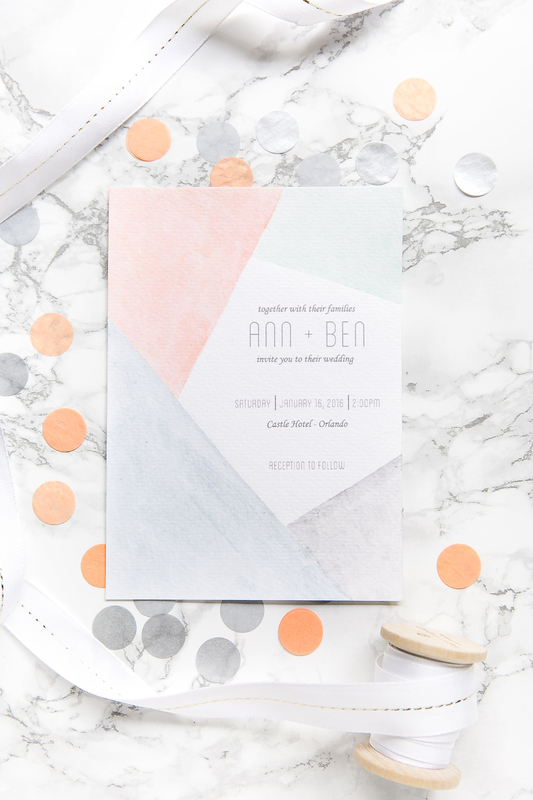 I’m thrilled with how it turned out,and I can’t wait for you to be as inspired as I am by this beautiful design! 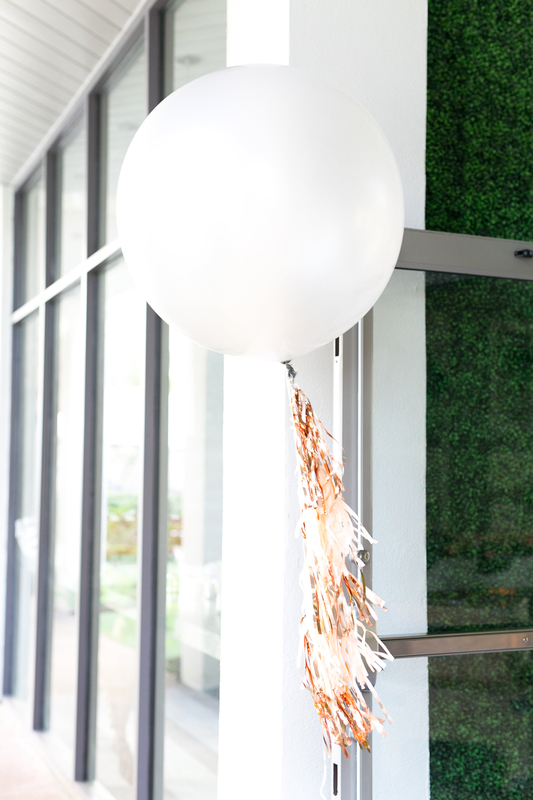 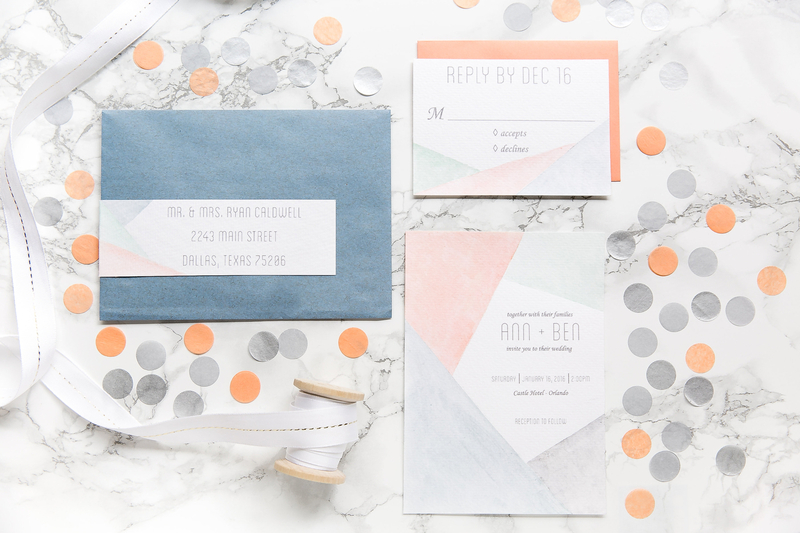 Of course I also can’t forget the beautiful invitations designed by Paper Goat Post, and also their fun tassel garland balloon too! 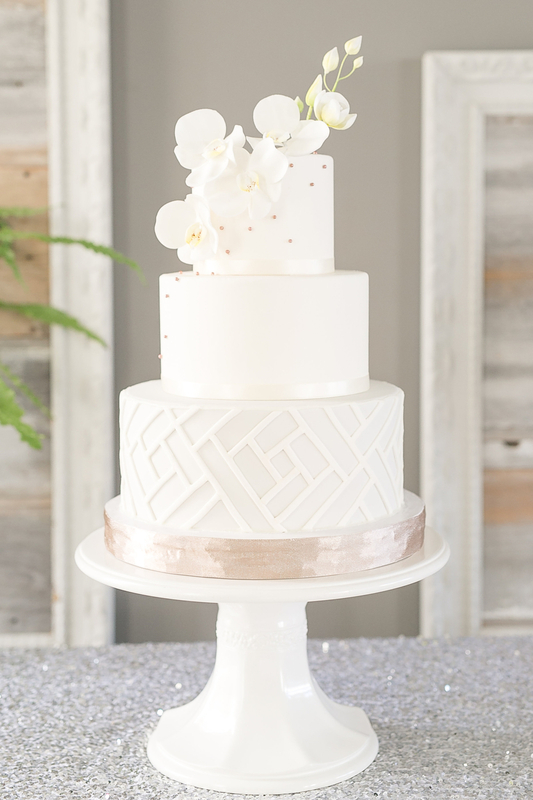 And the gorgeous cake by The Sugar Suite– always a beauty!